can make your visit one to stay in your memory forever. 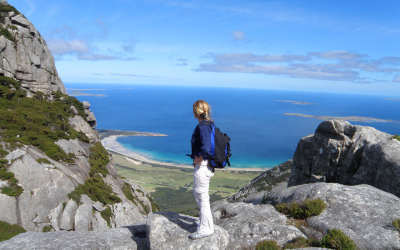 You can explore the diverse nature of Flinders Island and discover the history of these islands from the time of Australia's first settlement. Whether two of you, or a large group, we can look after you. 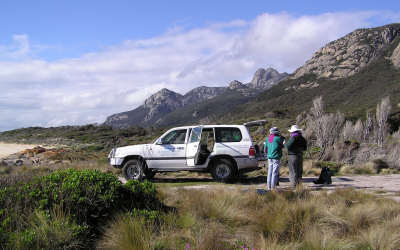 Luxury 4WD tours taking you off road to places the visitor rarely sees either as a day tour or 2 to 4 day 4 x 4 touring package. 3 to 8 day guided walking or road touring packages. 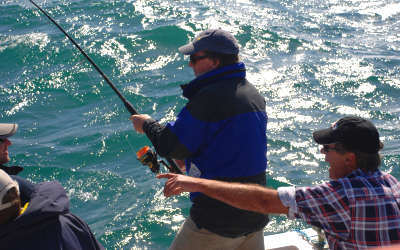 Special interest group packages to enjoy the Birds of Bass Strait, Wildflowers in Season, wildlife and history. Fly-in and cruise ship visits. With over 120 beaches and mountains to 756 metres, you can join in searching for a paper nautilus shell, swim in the clear blue water, look for 'Killiecrankie Diamonds', walk over red granite rocks, fish for your dinner and see the unique mix of bird life that inhabits these beautiful islands. To help you plan your holiday on Flinders Island we have a range of touring, walking and fishing packages to enable you to enjoy the best of what the Island has to offer.